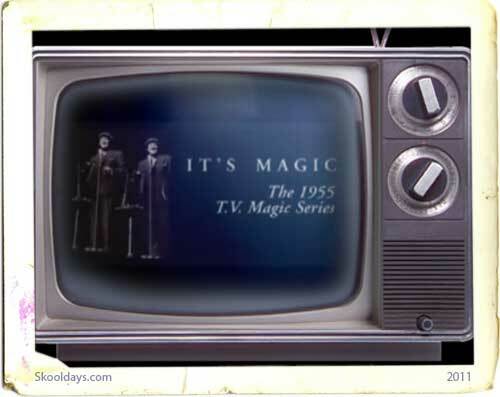 Syndicated: Weekday Mornings and Saturday Mornings: Monday April 1,1963 Friday September 8,1967. Following an unsuccessful stint of guest appearances on episodic tv series in Los Angeles, Cal. Paul & Ruth Tripp moved back to NYC. They hoped that they would find better acting jobs in NYC.Eventually,he was invited by tv producers:Lester Lewis and Alton Alexander to audition for a new kids tv series that the two showmen were developing for WNBC TV Ch.4 in NYC. Tripp came to Lewis’ office and won the audition…the heads of Ch.4 picked up the show and”Birthday House”offically opened to the public on Monday morning April 1,1963. 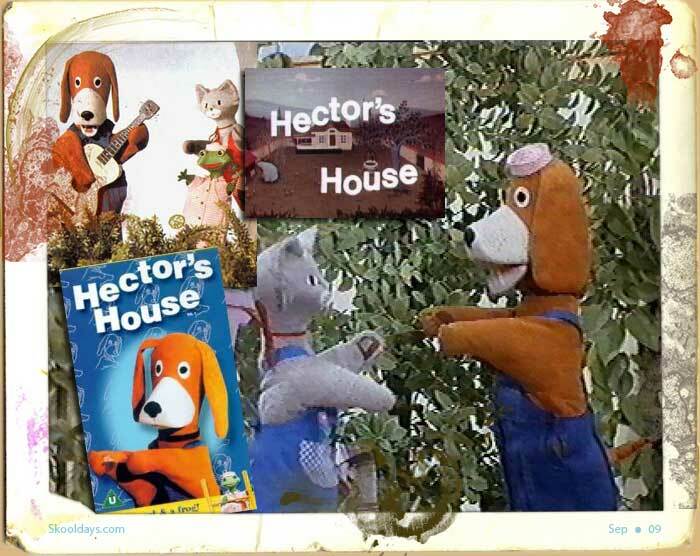 Set against the backdrop of an enchanted cottage in the woods.Tripp and his wife and their two asistants:Jan Lara and Kay Lande would engage a studio audience of pre-school kids in games,songs,stories,craftmaking,informational segments and interviews with guest performers and personalities. Ringling Brothers Circus Clown Lou Jaccobs..would dress up Paul Tripp as a clown on camera. There was also puppet skits that were performed by Mr.Tom Tichenor and Mr.Tichenor would also appear on the show as “Strawtop The Silent Scarcrow Doll”. cake was ready and Mr.Tripp would bring out the cake..already lit and ready to serve to the children. Paul Tripp knew how to entertain and educate children..but he also knew how to discipline any child..who may get out of line on the program..in an Interview that I did with him back in October,1979..he recalled..that during the preparations for a game with some pinwheels. One naughty little boy snatched a pinwheel from the birthday girl..Tripp noticed this and he confronted the brat..”Johnny or whatever the little fellow’s name is? that was a very naughty thing that you did”. “Remember we’re all here to have fun and to learn here at Birthday House..but we’re also here to learn to share..now..if you don’t have one of these(Tripp held up an extra pinwheel in front of the boy’s face)then I will give one of them to you..but..you must never take anything from anyone and you must never hurt anyone..and you hurt that little girl and that is our little birthday girl”. The poor little lady was crying and the little boy also began to weep. Tripp then turned the situation around and he said”Now! I want to shake your hand..because it takes real guts to admit that you were wrong and that you were willing to apologize”. The show received alots of postive letters and phone calls from parents and their familes about Tripp’s proper treatment of the situation. 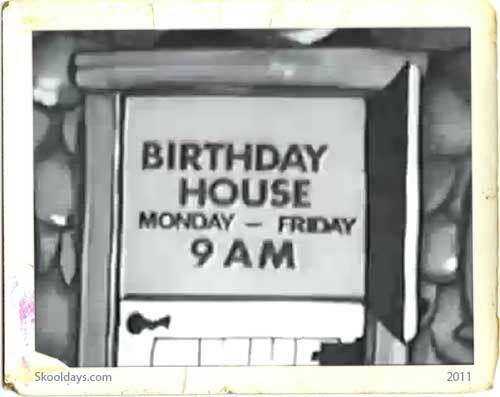 “Birthday House!”was a hit with tv viewers Youg and old and the station execs at WNBC TV won a special citation from The NYC Emmys for the creation,production and presentation of a quality educational children’s tv show in 1964. The series was seen weekday and saturday mornings both locally on WNBC TV Ch.4 in NYC and in national syndication. Following the cancellation of”Birthday House”their tv appearances were very few.Paul Tripp made guest appearances on “The Mike Douglas Show”with Rosano Brazzi to help promote their Yultide/musical fantasy film”The Christmas That Almost Wasn’t” and on Bob McAllister’s version of”Wonderama!”to help promote Tripp’s kids’ book”The Scarecrow Who Smiled By Mistake” and he played Gen.George Washington on an installment of NBC TV’s historical anthology series”American Rainbow”:”The Boston Spy Party”. His last tv appearances were on a tv tribute to WCBS TV Ch.2 in NYC to help celebrate the station’s 50th anniversary in 1991 and he played a character named”Mr.Boblob”on a dramatic tv special. Mrs.Ruth Tripp died in 1999..her husband..Kids TV’s first educator would pass away on August 29,2002. This entry was posted in Saturday and tagged 1960 by Skooldays. Bookmark the permalink. Im looking for the Birthday House episodes via internet. There are some episodes of’Birthday House”on You Tube..but..I’m afraid that is all there is of the series.